Quality construction includes stainless steel housing as standard and low energy EC fans. Operation is controlled with the on-board touch screen display (as standard) or via a remote interface, smartphone app or BMS. 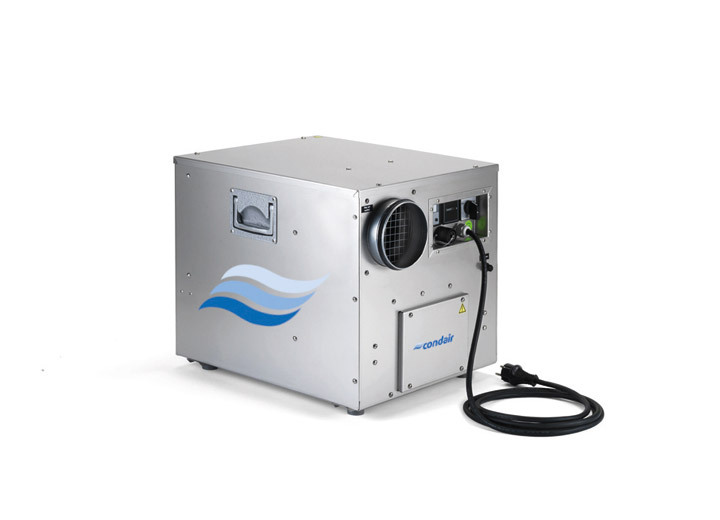 A wide range of desiccant dehumidifiers offering standard single unit capacities from 0.45kg/h to 182kg/h. A comprehensive range of additional modules and control options ensures the Condair DA series can meet any drying project's requirements. Video: How does a Desiccant or Adsorption Dryer work? 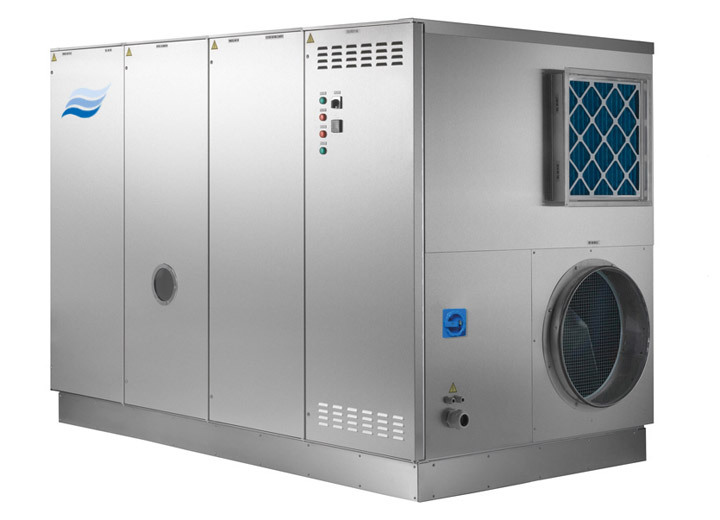 Condair DA desiccant dryers are designed to be used especially when an extremely low relative humidity of 10 - 20% RH is needed, such as in industrial drying processes, or where there are very low temperatures to deal with. The devices’ powerful sorption rotors mean that they can be used to bring humidity values down to a minimum at temperatures as low as -30°C. As well as standard designs with drying capacities of 0.45–182 kg/h, a wide range of specialized versions are also available. 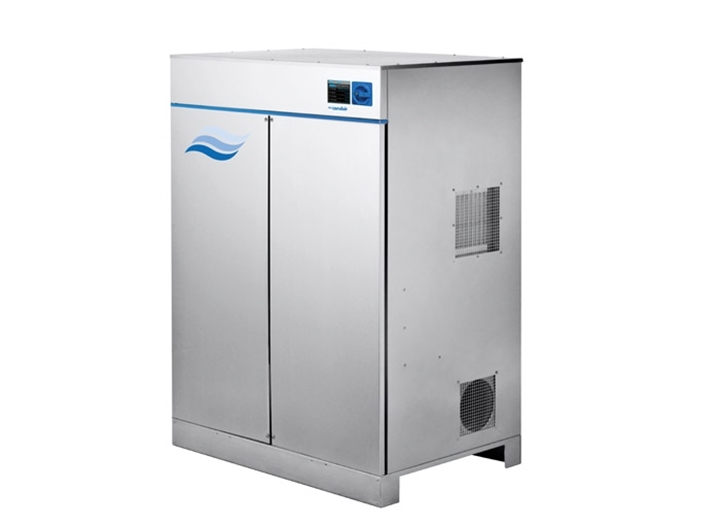 Depending on their size, the devices can be fitted with pre- or postcooling batteries, heat exchangers or condensation modules prior to delivery. Post cooling in particular is often necessary due to the heat given off by the dry air, and should be taken into account at an early stage of the planning process. As well as being able to choose from a range of different regeneration processes, you also have the option to combine existing media of your own, such as steam or PWW systems, with the electrical regeneration heater. This saves a considerable amount of energy, particularly with larger systems, and can therefore help you achieve a substantial reduction in operating costs. The sorption rotor used in Condair desiccant dryers is silicone-free. The drying agent is neither respirable nor flammable. Stainless steel housing - All our desiccant dryers are fitted with durable AISI 304 stainless steel. High efficient desiccant rotor - The desiccant rotor consists of a fiber optic honeycomb structure, coated with extremely hygroscopic silica gel. Numerous options - To help you adapt your desiccant dryer to perfectly suit your requirements, we offer a number of additional modules that are tailored to each model. 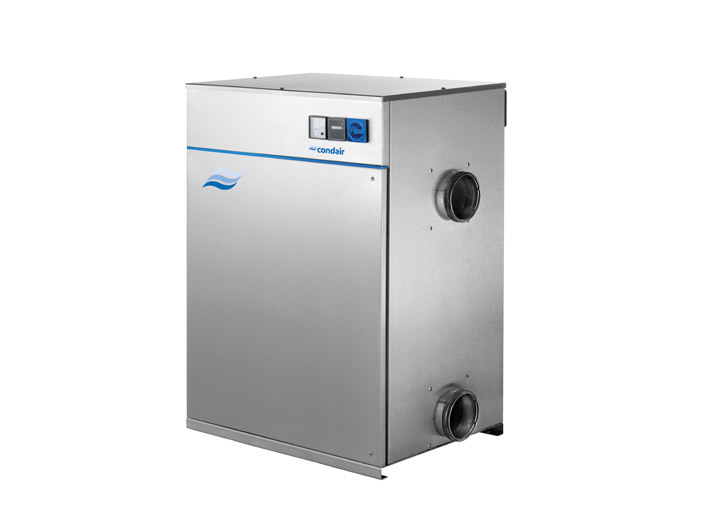 Condair DP swimming pool dehumidifiers are based on a heat pump principle. The heat emitted by the heat pump circuit has an additional benefit of heating the indoor pool area. This can lead to a considerable saving in the operating costs of the heating system. 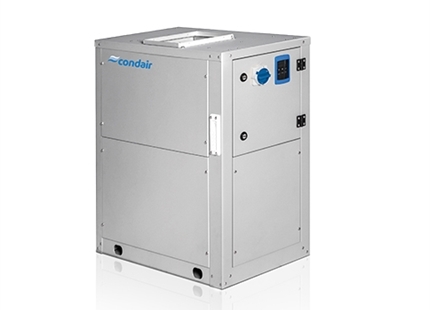 Condair DC condensing dehumidifiers have many different applications across the industrial, commercial and warehousing sectors. 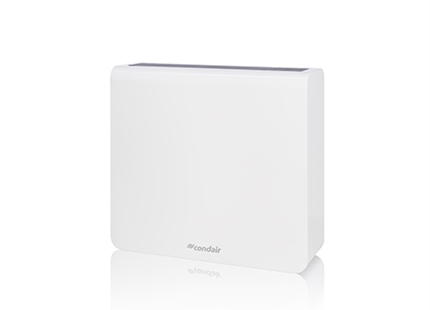 They are based around a refrigerant circuit system, and are generally used in areas, in which the relative humidity has to be reduced to 35 - 45% RH.